This citrus punch is delightful, full of tasty flavours – the perfect no-booze cocktail for the designated drivers. Peel the grapefruit and remove the pith. Cut the grapefruit into cubes, and remove the seeds. 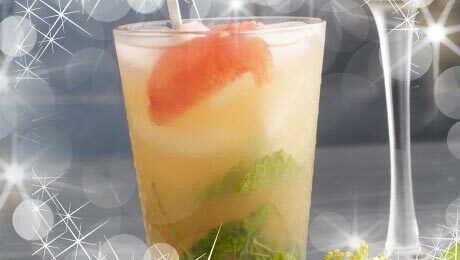 Place half the grapefruit into a cocktail shaker and add half the mint and honey. Using a fork, smash the fruit and mint until the juice is released. Add two ice-cubes with half the grapefruit juice and shake until combined. Repeat using the remaining ingredients. Pour into four tumbler glasses, with additional ice cubes and a sprig of mint to garnish.